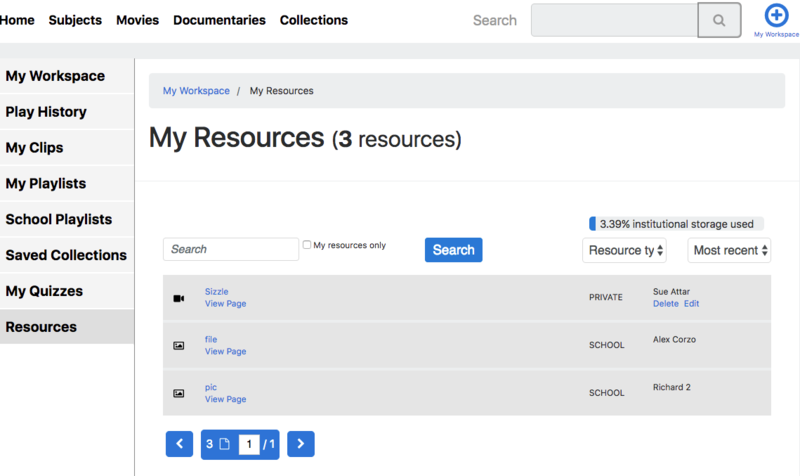 The resources section will give you an overview of resources you or your school has uploaded to be used as a learning resource with selected video's. To upload resources, you must do this from a selected video. 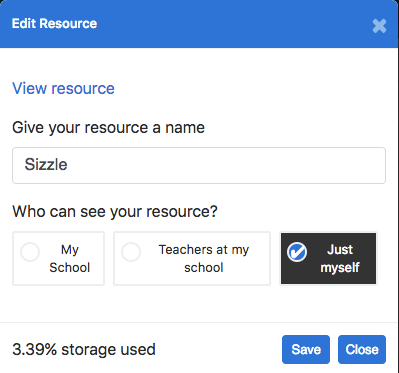 The storage will indicate how much storage your school has left.